Giving a loved one something handmade is always so special. It lets them know you really care and the best bit is you can make it personal. We know it can be difficult to come up with ideas sometimes and it can be frustrating when you need a little extra something to finish your card but you don’t know what. That’s why we created 3 simple gem topper designs, ideal for those moments when you need a creative helping hand. 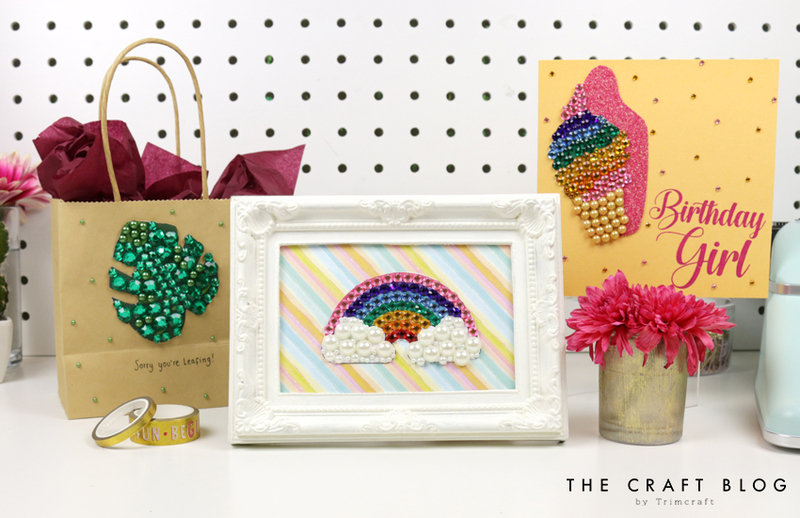 Just download our free template, grab your gems and get crafty! 1. Download and print out your free template. For a stronger topper, print the template onto cardstock. 3. Start sticking the gems and pearls onto your designs following the colours on the template. TIP: Start with the biggest gems and use the smaller ones to fill in any blank spaces. 4. Once you’ve finished sticking down your gems, you’re done! Use these fun toppers in any way you would like. We put our rainbow topper on a sheet of First Edition Let’s Celebrate Paper to create this wonderful framed art, perfect for a kid’s room! Why not try adding a topper to a card? Here we have used our ice-cream alongside one of our Dovecraft sentiment stamps to create a lovely bright card for a birthday. You could even add the monstera leaf topper to a simple Kraft bag for an 'on trend' gift bag. You could even make your own, the possibilities are endless! Will you be creating your own gem toppers? We’d love to see you versions of these gem toppers, so don’t forget to upload your versions to the Inspiration area and #Trimcraft when sharing to social media! Most importantly, stay inspired and keep crafting! I think this is absolut amazing and it looks sooooooooooo gorgeous and is just perfect for these granddaughters of mine, who can never get too much bling ha ha. 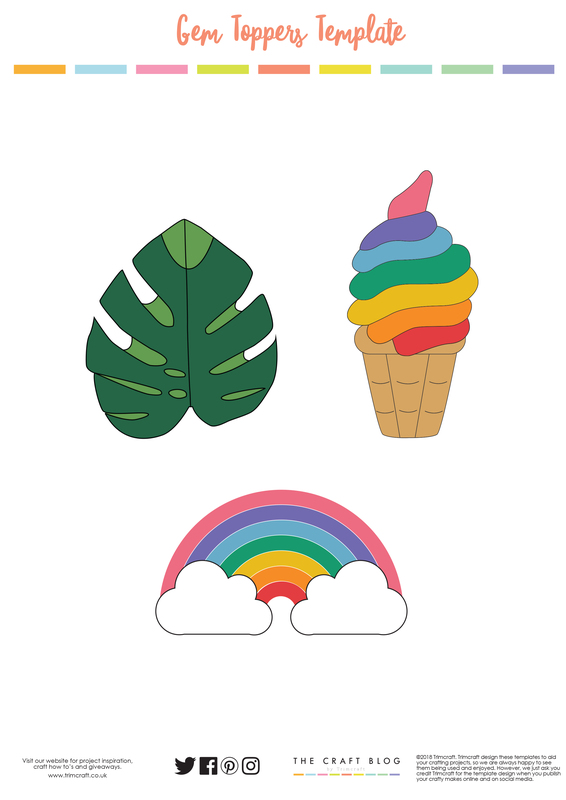 I absolutely LOVE them, and especially the rainbow blows my mind, but also the icecream is a gem itself . Wonderful idea, thanks soo much.